It makes sense for South Africa to forge stronger ties with countries other than our strong historical trading partners in Europe and the United States. That’s because we have more in common with a fellow developing and politically non-aligned country, such as India, than we do with the developed nations of the West. It also makes sense economically to put your trade eggs in a number of baskets so that you are not vulnerable to any form of downturn. 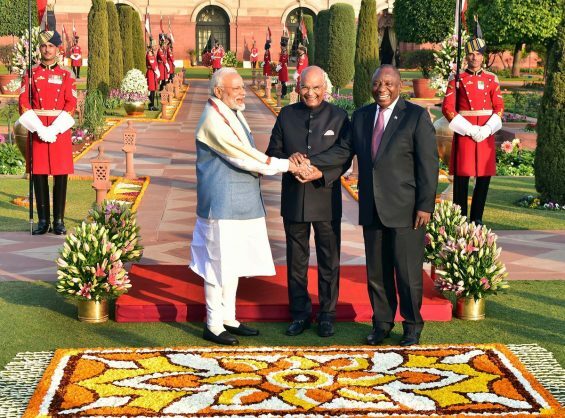 South Africa and India have strong historical and cultural ties, too. A strong anti-colonial movement is common to both countries and India gave strong support to our liberation movements during the struggle against apartheid. Yet, sometimes Indians find themselves in a difficult position in this country, sandwiched between Africans and whites. Although officially recognised by post-apartheid legislation as “previously disadvantaged”, Indians are often viewed as having been better off than other non-white groups during apartheid. That picture of the Indian community was not helped by the spectre of the Indian-born Gupta family, who cynically abused this country to become mega-rich. As a result, anti-Indian racism lurks below the surface in some communities and has already been used by some cynical populist politicians.